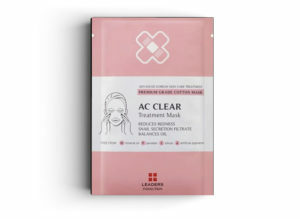 This is a hypo-allergenic daily cotton sheet mask that provides relief for irritated, stressed, and sensitive skin due to breakouts and various harmful external factors. Ensures a clear and healthy complexion by calming sensitive skin and relieving redness. Helps improve skin tone by controlling oil, smoothing skin’s surface, and moisturizing rough skin. It treats acne & pimples, irritated & sensitive skin, oily skin, and sensitive skin. It also helps to balance oil moisture, control sebum, improves skin tone, prevents breakouts, and relieve redness.